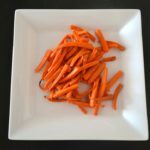 Oven Baked Carrot Fries Recipe. Great way to get your kids to eat more vegetables! If you make healthy food in fun ways, you can even get picky eaters to start trying and loving (yes, I said loving) vegetables! 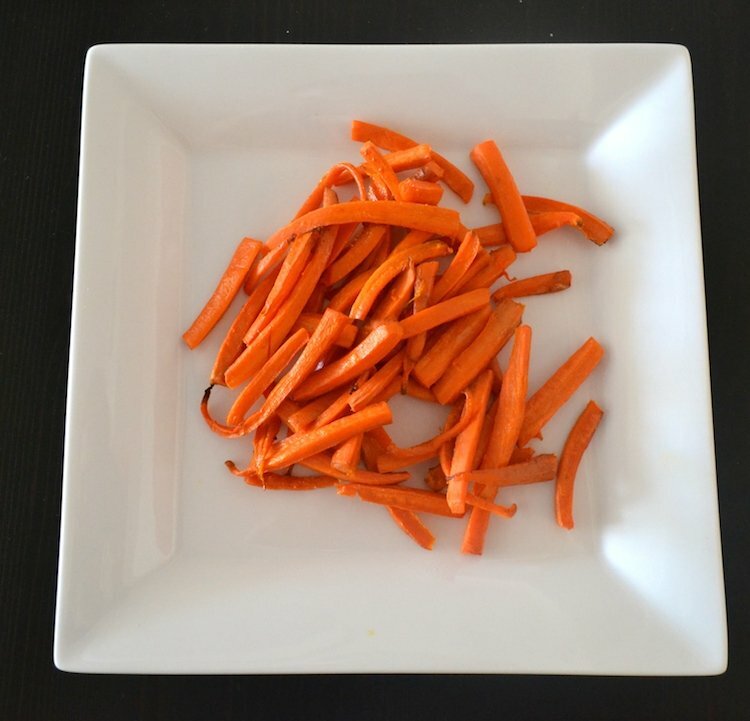 Oven Baked Carrot Fries are also great for the whole family and a healthy substitute to regular potato fries. Less calories and more fiber and vitamins. Everyone likes fries right? These oven baked carrot fries are super healthy, sweet, tender and delicious! You only need some cooking oil, salt and carrots. Only 3 ingredients and you have a super healthy side dish. Oven Baked Carrot Fries go perfect with any dipping sauce too! 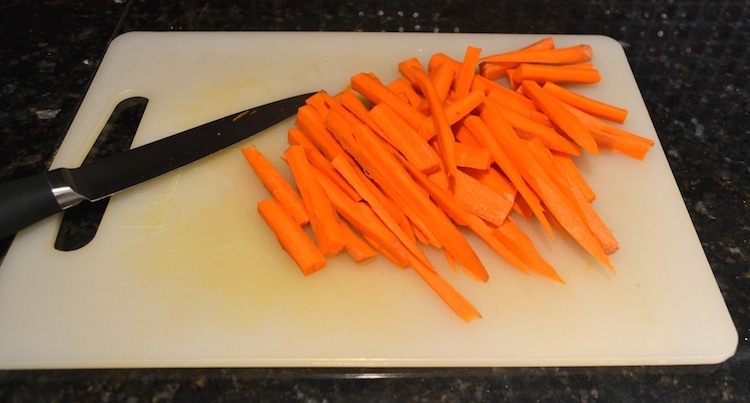 I used a regular sharp knife and cutting board and about 5 medium size carrots. I peeled the carrots first with a vegetable peeler. Remember to cut the tips and ends of each carrot first. You can make your Oven Baked Carrot Fries thinner or thicker according to taste. Then place them in a baking sheet on top of parchment paper. Use a little bit of cooking oil (I used red palm oil) and some salt before baking. When baked, these Oven Baked Carrot Fries will be sweet, browned and tender. If you like this idea, you might want to try also my Baked Zucchini Fries recipe. Healthy alternative to potato fries. Oven Baked Carrot Fries are sweet, tender and so delicious! 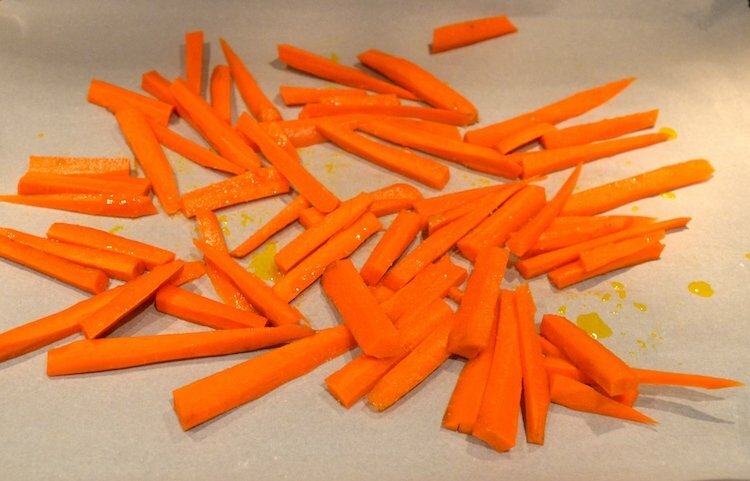 Peel and cut carrots into “fries” shapes. Place them on a cooking sheet on top of parchment paper. Add a little bit of cooking oil and salt. Bake for about 20-25 minutes until well browned and tender. Serve with your favorite dipping sauces. You could also add some ground cinnamon and a little bit of honey to your Oven Baked Carrot Fries.